Law enforcement will be in full swing from May 18 through 31 cracking down on seat belt use. You may have already heard about the national “Click It or Ticket” campaign but you may not know about the upcoming NHTSA campaign involving this law. 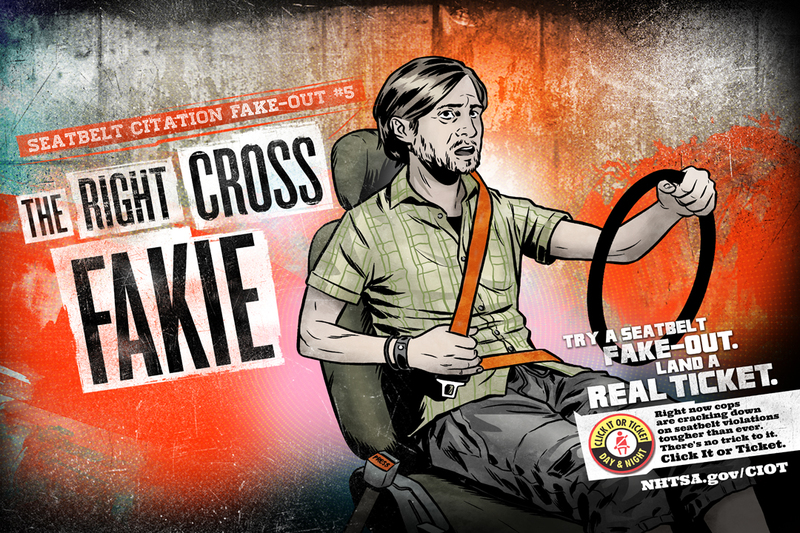 The original campaign was designed to crack down on seat belt use. It is against the law to driving without wearing a seat belt, and the law is about to get a lot tougher, beginning May 18th through the 31st. This law is not designed to be an inconvenience. It is designed to save lives. As seat belt use increases, the rate of fatalities due to unrestrained occupants decreases. So What Can You Expect During This Time Frame? From May 18th through the 31st, there will be more units on the road patrolling. This increases their ability to enforce the law and crack down on people who are not using their seat belts. In addition to that, there will be more units on the road at all times. This means during the day and the night. The reason for this is that there are more unrestrained crash fatalities during the night than during the day. In 2013 alone, 59% vehicular during night hours were because the individuals were due to lack of seat belt usage. This is compared to only 40 percent of fatalities during the day time. Your local law enforcement should also be advertising this increase in patrol leading up to this time. If everyone wore their seat belts while in a vehicle, thousands of lives could be saved each year. Protecting the public, especially when it comes to vehicle accidents, is very important to law enforcement. To put it simply, fatalities can be avoided in many cases by just adding a seat belt. More than half of the fatalities in 2013 were due to a lack of seat belt restraint. The NHTSA said that this statistic gets even worse when you look at teens and young adults. Between the ages of and 18 to 34, The number is staggering at 61% of casualties due to a lack of seat belt usage. Between the ages of 13 to 15, it is 67 percent. It is also important to note that even if you are in the back seat, you should be wearing your seat belt. 61 percent of fatalities of people the back seat were not wearing seat belts. You may also think that if you are in a certain type of vehicle that seat belt is not necessary. No matter the vehicle, where you are sitting, how you are sitting, or the time of day, you could save your life simply by wearing your seat belt. The road is a dangerous place and you should decrease your danger as much as possible. Wearing your seat belt is the best way to do that. Ideally, the effects would be long lasting. Law enforcement all over the country wants to change habits and save lives. While the campaign is a relatively short one, it should increase seat belt use. If people get in the habit of wearing their seat belt during this time, they are more likely to continue doing so. Also, while this campaign is only running from May 18th through the 31st, the law is still in effect all year round. In order to increase your safety on the road and potentially save your life, wear your seat belt at all times. Not only could you get a ticket for not doing so, but you could also lose your life.